I always knew Berlin was a quirky place. During my last trip to Germany’s capital, I ended up at a warehouse concert in literally the middle of nowhere. And so last week, yet again, I was in the middle of nowhere along with two other friends searching for an abandoned NSA spy station. After wandering through the woods for half an hour, I was beginning to lose hope that we’d actually find it. I’d convinced myself that we’d left civilisation behind only to find upon reaching the top of a hill, an entrance with a make-shift payment centre, manned by a shirtless man asking for seven euros. 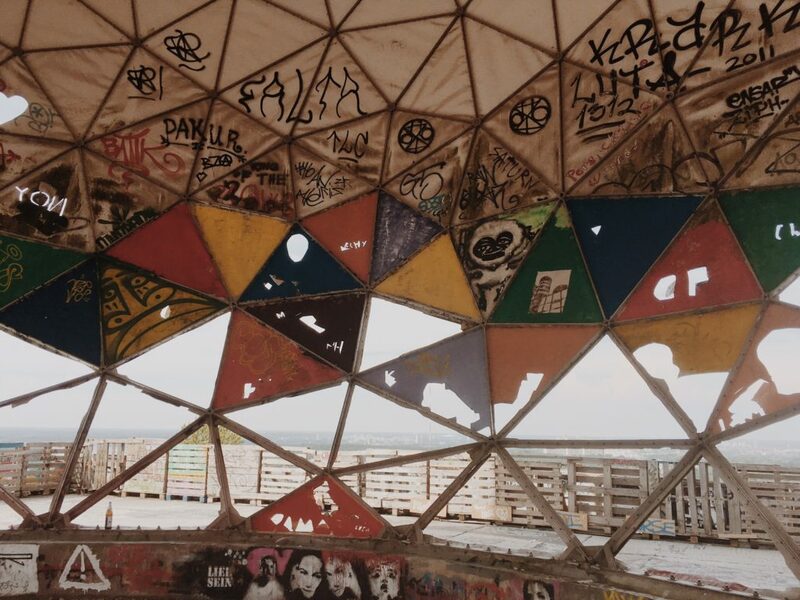 We had finally reached Teufelsberg. 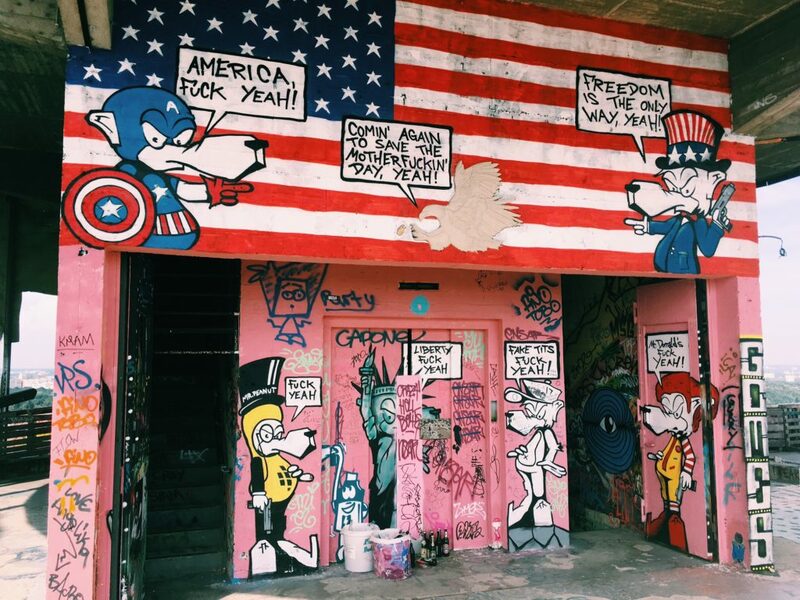 Upon telling my friend Jasper that we were heading over to Berlin, he suggested we took some time out to explore this weird place. I was in. I always like going somewhere a bit odd on my travels whether it’s 798 district in Beijing or a helipad bar in Kuala Lumpur, it’s always good to step outside of the main tourist sites. Teufelsberg is situated on the outskirts of Berlin and was used during the cold war by the Americans and British to learn about what was going on in East Germany. 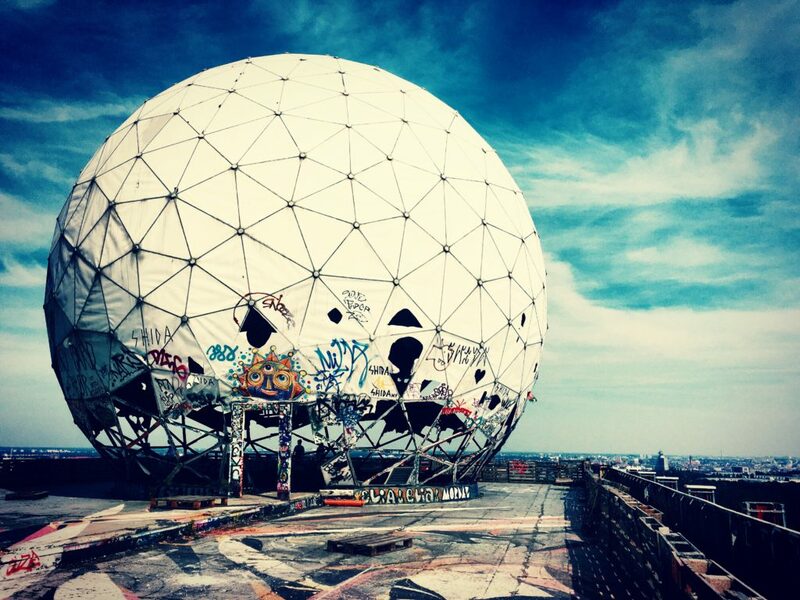 It was left abandoned after the fall of the Berlin Wall and has since been left abandoned. 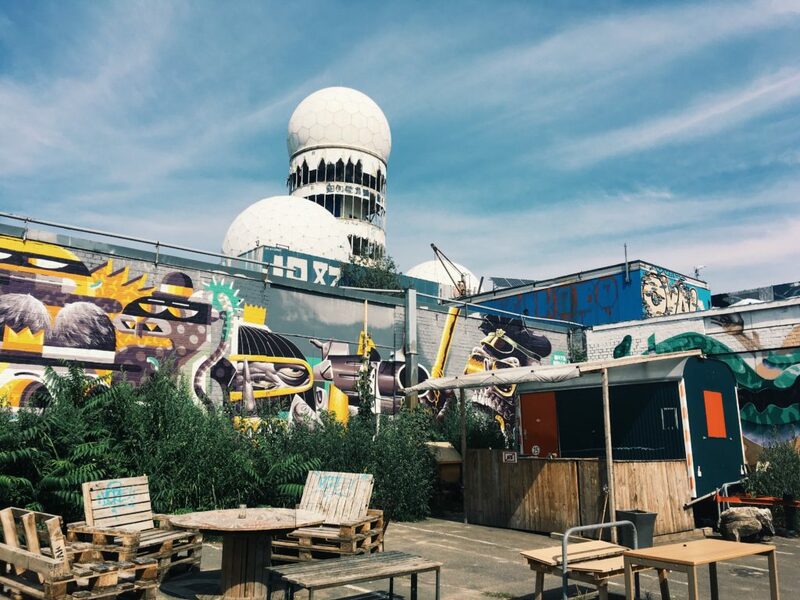 Local artists have added their designs to Teufelsberg making it a good place to view some street art in a city that’s bursting with creative folk. A lot of the designs seemed to be political fitting in with the original use of the building. While there was also a lot of contemporary stuff on offer too including a random graffited bathtub. You can get to Teufelsberg by taking the S-Bahn, S9 or S75 to Heerstraße, or S1 to Grunewald and walking right up that hill. "Where to take your granny in London"
I love that you venture out to see the less publicized attractions in a city. Partying in a warehouse in Berlin sounds epic. You captured some great shots on this one. wow that looks so kooky! i havent’ been to berlin yet but it looks like a great city. 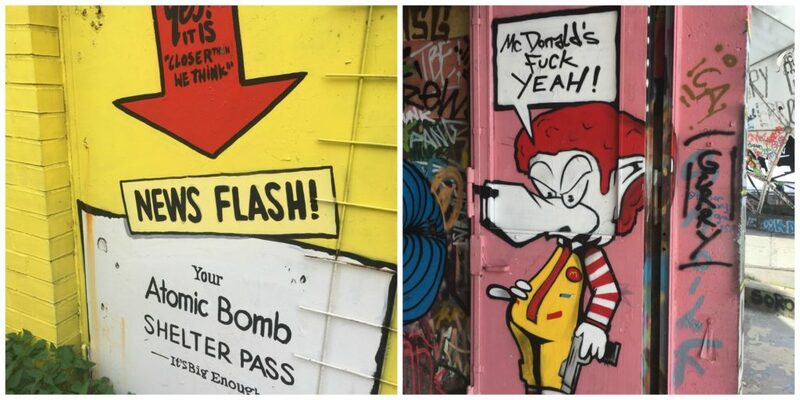 Gotta love the McDonald dog. What a fascinating place. Almost feels apocalyptic. Look at all those finds! I had not idea that you could find things like this in Berlin. So fascinating and interesting! 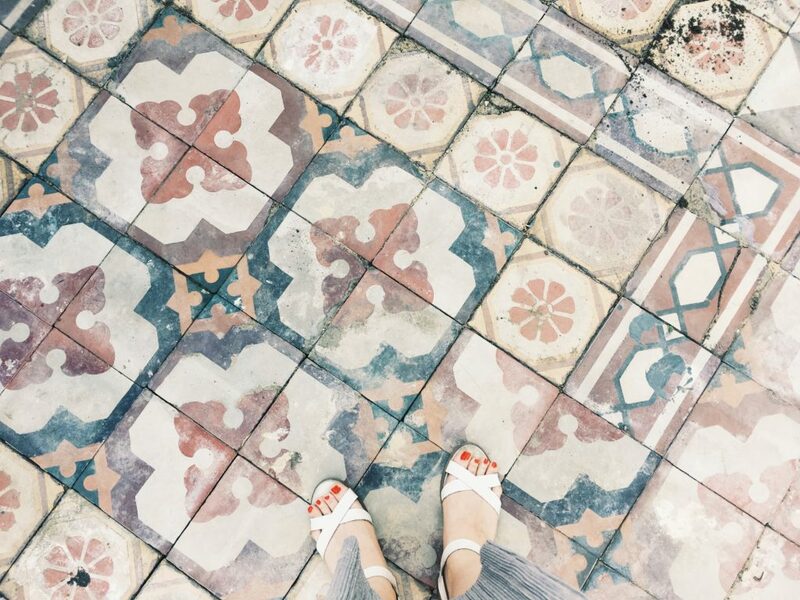 We love seeking out abandoned places – they usually say something about the history of the city that they’re in, whether that be through graffiti or abandoned materials and things left behind. Super cool!